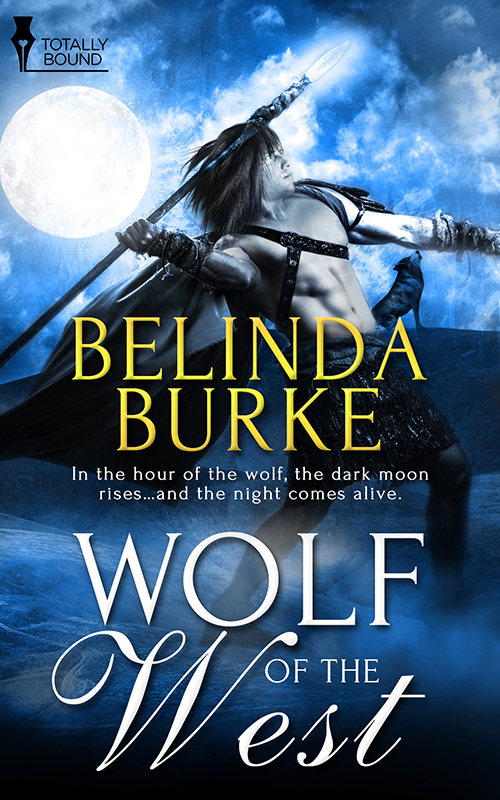 Wolf of the West: Set in ancient Ireland, Wolf of the West tells the story of Marcas, one of the faoladh, and Connor, prince of Connacht, whom he must protect at any price. In the hour of the wolf, the dark moon rises…and the night comes alive. From the back cover: Eire is a land of gold and bronze, bought with fire and blood. Yet for thirty years, there has been peace in the name of the High King. Now, his quest for immortality has unleashed Crom Cruach, the bent one, Crooked King of the void. The faoladh, wolf-protectors of man, have sought to suppress those that would bring Crom Cruach into the world. It is Marcas, one of those wolves, who will confront darkness in the name of duty—and beside him, Connor, prince of Connacht. Connor is a wounded warrior, marked with brightness to foil the dark—a mark that means Marcas must protect him. Yet the longer Marcas spends at Connor’s side, the more he finds himself wanting Connor for his own, and from the moment Marcas shows himself to Connor as a man, not a wolf, the attraction between them is obvious. Connor wants just what Marcas wants, if only he can convince him of that in time, but the same question is before each of them, waiting to be answered. Which must they serve—love or duty? For Marcas, the weight of his service may prove too much—a deadly burden. For Connor, only son of a king, even victory may have its price in separation. You can purchase Wolf of the West at Pride Publishing, Amazon, Barnes and Noble, ARe, and other retailers, in e-book and paperback!